experiential learning and team-building activities. bathrooms. The house is separate from the main site. Retreat House - the latest addition to our campsite, and sleeps 30 people. A newly renovated venue - upmarket, self contained fully furnished unit with bedding and well equipped kitchen. Cabins - new 10 Cabins sleeping between 4 to 6 people each. 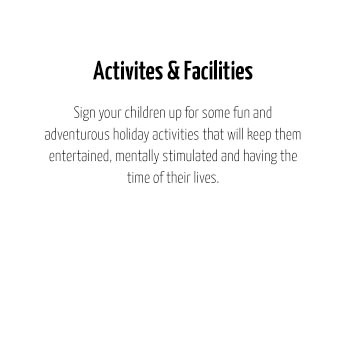 Cabins 1 up to 7 share a communal bathroom and toilet block, whilst Cabins 8 to 10 have their own en-suite facilities. 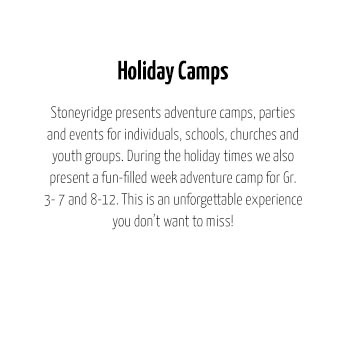 make you feel at home! 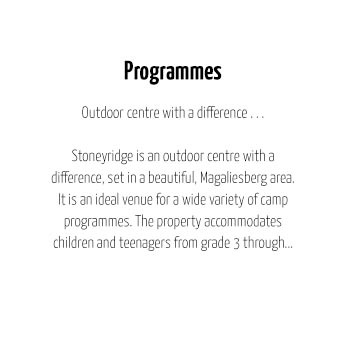 Stoney Ridge is a Scripture Union Camping Centre situated in Hekpoort in the beautiful Magaliesberg Valley.